Unfortunately, as the volumes of greenhouse (heat-trapping) gases that are being released to the atmosphere on a daily basis as a result of human activity (mainly from burning coal, natural gas, oil and jet fuel) continue to accumulate there; and Earth’s remaining green space (forests, prairies and other carbon dioxide (CO2) consuming (sequestering) vegetation) is reduced; and Earth’s oceans, seas, the Great Lakes and numerous other water bodies become evermore warmer and saturated with carbon dioxide (CO2), making them more acidic; the prospect of Earth being as hospitable as for life as it has been in the recent millennia in which humans have inhabited this planet is getting slimmer and slimmer. Scientific studies have been showing for decades, and now with more and more clarity, that modern day living – particularly by residents in the developed countries of the world, who rely so heavily on burning fossil fuels in their daily living – for energy warmth in winter, and electricity generation and transmission, year-round, for shipping goods and trading, and, moreover, for personal or work related travel, the construction, pavement and land alterations that are done which not only allow for that activity, but promote it, that that kind of living by so many millions and even billions of people, will ultimately lead to grave consequences for our planet. And with our human population continuing to grow geometrically, coupled with the outright refusal of much of the population, their political leaders, and even the recently elected president of our United States of America, Donald J. Trump, continuing to advocate for the highly resource consumptive “business as usual” lifestyle — many human and other lives have already been lost, and people all over the world have suffered, and many more people and animals living in the future will suffer, or be lost, and many trillions of dollars will be lost as well as a result of climate change related “natural” disasters, and rising sea level, a situation which now is not only unprecedented but becoming increasingly dire and predictable. All we can do now is to slow the pace of global warming by conserving energy obtained either directly or indirectly from burning fossil fuels. Moreover, changing to energy alternatives that don’t add to the rising concentrations of GHGs takes more time and money [but creates more long term jobs], and finding ways to adapt to the changes in the climate and the effects brought about by those changes will also cost money and will hurt the poor and the very young and the more elderly individuals [very young have less body mass to buffer individuals to higher heat; older persons are more susceptible to heat stroke]. Also see “UW-Madison Faculty Challenge DNR Climate Change Revisions”. In a shift from the practice of two other state agencies, Wisconsin emergency management officials have released new information on climate change and its implications for the state. In a report that it posted online last week, the state Division of Emergency Management devoted extensive attention to climate change and how a warming planet could spur natural disasters such as floods, drought and forest fires. The report contrasts with the Department of Natural Resources and the state Public Service Commission, which scrubbed mentions of climate change and human-generated greenhouse gases from their websites. The PSC, which regulates electric utilities, eliminated its web page on climate change at some point before May 1, the Milwaukee Journal Sentinel found recently. The scrubbed information included a link to former Gov. Jim Doyle’s task force report on global warming. The Democratic governor’s report in 2008 recommended that Wisconsin reduce the use of fossil fuels and rely more on renewable sources of power. The measures were never enacted. In the cases of the DNR and the PSC, the information can still be found on the Wayback Machine, an online archive. In a new five-year disaster preparedness plan, the Division of Emergency Management cites research such as from the Wisconsin Initiative on Climate Change Impacts. It shows global warming is likely to produce more extreme weather. Examples: more days of 90-degree-plus temperatures and more intense rain events. Bursts of rainfall, the report said, could lead to natural calamities such as flooding, collapse of dams, sinkholes and lake bluff failures. While other agencies have removed references to the role of human activities in global warming, officials at the Division of Emergency Management included such a statement. “Although it is widely accepted by the scientific community that the observed changes in global temperatures are the result of human actions, there is considerable uncertainty about the impacts these changes will ultimately have,” the agency wrote. The document also acknowledges “some debate about the cause of climate change,” but added that statewide temperatures have increased 1.1 degrees in the past 50 years and that more extreme weather events are likely. The new planning document was approved in December by the Federal Emergency Management Agency, said Lori Getter, spokeswoman for the state Division of Emergency Management. Wisconsin was one of the first states to complete a new plan. As part of the process, FEMA required states to consider potential climate effects, she said. President-elect Donald Trump’s pre and post U. S. Presidential Election statements describing his unscientific “belief” that global warming is not human-caused is flat wrong and the media should have corrected him. It is a scientifically accepted truism that human activity – especially coal and natural gas (methane) burning to generate electricity, petroleum product burning including automobile gasoline, diesel and jet fuel burning, the latter for use by the U. S.’s military aircraft, commercial airplanes and private jets, and humans having either paved over or replaced billions of acres of land formerly in tropical rain forests, prairies, wilderness, or in other lands containing carbon dioxide sequestering vegetation with greenhouse gas producing uses by humans.industries resulting changes in the climates on all of the Earth’s continents, the rising sea levels, worldwide, due to the measured acceleration of the melting of all the Earth’s glaciers, most notably Greenland’s, massive GreenlandIce Sheet are very wrong and very threatening to our planet. Global warming, which is known to be an inevitable consequence of increased trapping of radiated heat energy at the earth’s surface which originates from the sun, due to the known increase in the volume of greenhouse gases (carbon dioxide, nitrous oxide, methane, and other human engineered trace gases), primarily caused from excessive burning of fossil fuels over time, and by the paving over of the planet’s land surface, is factually undeniable. The U. S. mass media (TV, radio, newspapers, social media, other) are most responsible for Trump’s deception filled presidential election victory, which will exacerbate global warming heaviest toll on the children of today, future generations of people and other living things having no choice but to struggle to live on a much more inhospitable planet which is destined to become more and more unlivable as time goes on – because of our uncaring actions of excessive fossil fuel burning today. 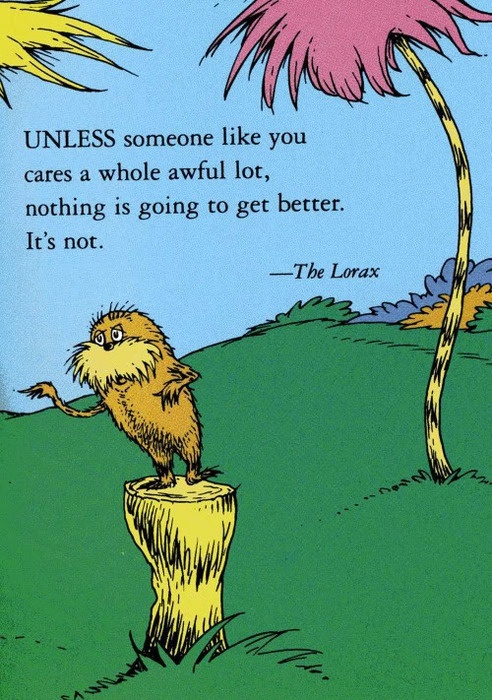 People in the U.S. and elsewhere could do so much more than they’re currently doing to stop projects such as the Dakota Pipeline project, and other environmentally disastrous energy, transportation, and natural resource consuming unsustainable projects with countless unintended negative consequences that will unquestionably hurt the living conditions for people and all other life on Earth by simply making more thoughtful decisions in how and where they choose to live, recreate, work, travel, etc. In particular, it is essential for all to MINIMIZE the burning of oil (fossil fuels) in recreational and other needless travel, especially long distance travel, by jet airplane and daily solo motor vehicle commuter travel. In that way, we all reduce the economic need oil and other fossil fuel extraction and pipeline projects, reducing the eventual burning of the fossil fuels and adding to the already catastrophic volumes of atmospheric greenhouse gases, scientifically established to be warming our planet, melting the earth’s polar ice caps, and virtually all the world’s glaciers, thus causing sea levels to rise, the oceans and the earth’s other water bodies to warm and acidify, killing off an untold number of earth’s species, including significant degradation of earth’s many wonders such as the Great Barrier Reef to say nothing about the countless loss of life and human suffering caused by the increase in extreme weather events including droughts, flooding and severe storms such as have already been transpiring across the globe including the heavy costs borne by our own United States over the past year and right now. The losses already occurring to the world and its people and other life on the planet are beyond measure yet our political representative are doing virtually nothing to stop this terrible tragedy to our planet and its future and those who will have no choice but to call it their home. Please sign my petition for the U.S. Congress to establish and sufficiently fund federal and state programs that would offer the American public monetary incentives to reduce their unsustainable travel levels. Tell your elected representative to legislative act now before it’s too late! http://www.allthingsenvironmental.com. Please do not patronize TV networks. Their so called “news” programs, sports coverage, and many other programs are financed heavily from automobile industry commercials, while Wisconsin Public Radio and Wisconsin Public Television are funded by the travel industry, heavily promoting airline and long distance travel motorized travel, which contributes huge volumes of greenhouse gas emissions, from jets,automobiles and other fossil fuel powered vehicles, mostly for recreational purposes, leaving a permanent, indelible mark for succeeding generations live with. National Public Radio is funded by the Koch Brothers. They all say they are “neutral” on political issues. But Climate Change is Science. It is continuing and in fact accelerating, regardless if the president-elect believes in it or not. To say otherwise does not comport with the facts. Either we act now or life as we know it on this planet may soon be history. – John Lennon (9 October 1940 -8 December 1980), musician, peace activist, artist, band leader of rock band “The Beatles” and founder of “The Plastic Ono Band”, humanist, dreamer … murder victim.